Document holder is watertight and made of clear PVC with special closure. 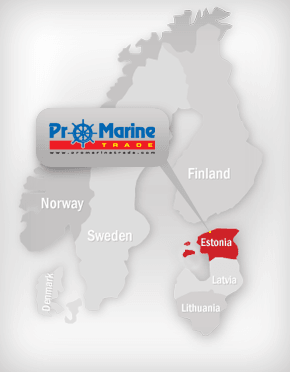 Size: 127 x 178 mm. Document holder is watertight and made of clear PVC with special closure. Size: 178 x 254 mm. Document holder is watertight and made of clear PVC with special closure. Size: 267 x 343 mm. The Lalizas Dry Bag is an ideal entry level bag for keeping your belongings secure and waterproof whilst afloat. Simply roll down and clip together to close. Volume: 55 litres. Dimensions: 800 x 500 mm. 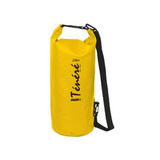 The Tenere 30 l Heavy Duty Dry Bag is ideal for kayaking, canoeing and rafting. Perfect for sailing and all outdoor when the contents have to be kept dry and clean. Material: PVC Tarpaulin 500D (Thick: 0.55 mm). Dimensions: 600 x 300 mm. 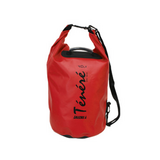 The Tenere 40 l Heavy Duty Dry Bag is ideal for kayaking, canoeing and rafting. Perfect for sailing and all outdoor when the contents have to be kept dry and clean. 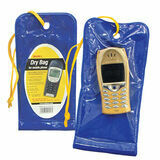 Material: PVC Tarpaulin 500D (Thick: 0.55 mm). Dimensions: 740 x 300 mm. Watertight up to a 9-m depth. Made of shock-resistant resins, fitted with O-rings and covered with soft foam lining that perfectly adapts to the objects to be put away. Ideal for instruments and delicate objects to protect from shocks and humidity. The boxes are equipped with a special bleeding valve for underwater use. Yellow colour. Outside dimensions: 210 x 167 x 90 mm. Inside dimensions: 186 x 123 x 75 mm. Watertight up to a 9-m depth. Made of shock-resistant resins, fitted with O-rings and covered with soft foam lining that perfectly adapts to the objects to be put away. Ideal for instruments and delicate objects to protect from shocks and humidity. The boxes are equipped with a special bleeding valve for underwater use. Yellow colour. Outside dimensions: 330 x 280 x 120 mm. Inside dimensions: 300 x 220 x 90 mm. Watertight up to a 9-m depth. Made of shock-resistant resins, fitted with O-rings and covered with soft foam lining that perfectly adapts to the objects to be put away. Ideal for instruments and delicate objects to protect from shocks and humidity. The boxes are equipped with a special bleeding valve for underwater use. Yellow colour. Outside dimensions: 430 x 380 x 154 mm. Inside dimensions: 395 x 320 x 117 mm. Watertight up to a 9-m depth. Made of shock-resistant resins, fitted with O-rings and covered with soft foam lining that perfectly adapts to the objects to be put away. Ideal for instruments and delicate objects to protect from shocks and humidity. The boxes are equipped with a special bleeding valve for underwater use. Yellow colour. Outside dimensions: 515 x 355 x 225 mm mm. Inside dimensions: 510 x 292 x 175 mm. Floating watertight backback. Volume: 30 litres. Quick proof fastening (top and side), multi fix system to hook snap-hooks or other devices, net pocket, removable shoulder strap. Dimensions: 58 x 24 cm. Floating watertight shoulder bag. Volume: 45 litres. 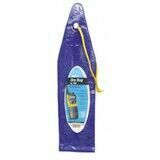 Round section watertight bag with ultra fix system to hook snap-hooks or other devices, refracting bands, net pocket, watertight external pocket. Dimensions: 57 x 30 cm. Floating watertight shoulder bag. Volume: 10 litres. Equipped with protective cover, reflective band, carrying handle, external pocket with semi-dry zipper. Removable anti-shock pocket ideal for PC up to 15". Padded back and strap for utmost comfort. Waist strap for use during sports activities. Dimensions: 36 x 36 x 12 cm. Floating watertight backback. Volume: 30 litres. Quick proof fastening (top and side), back padded with transpirable mesh, refracting band, pocket with semi-dry zip-fastener, harness equipped with pockets and buttonholes. Air-release valve system to discharge excees air. Size: 64 x 28 x 13 cm.